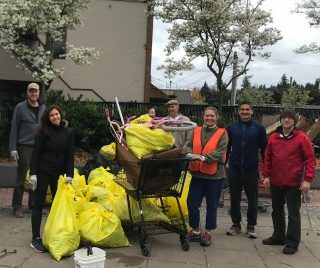 Thank you to the 50 neighbors who came out to help clean up around Lake City on Sunday, April 7th. There were lots of new faces and many sighted that being active in the community was a way to alleviate some of the sadness they had been feeling about their neighborhood. A huge thank you to Annette from Kaffeeklatsch for helping to organize the event and for providing the delicious treats that participants enjoyed upon their triumphant return to the Mini Park. 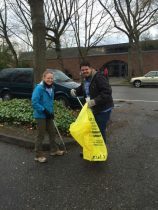 We collected 27 bags of garbage, over 20 needles and three shopping carts full of wet cardboard and other debris. Please join us for one or more of our next clean up efforts. Check Enjoylakecity.org or our Enjoy Lake City Facebook page one week prior for location and details. 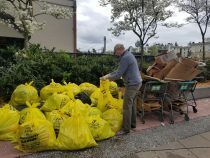 “Build Lake City Together” provides everything you need to participate including gloves, grabbers, safety vests and trash bags. These events are family friendly and a great way to meet neighbors, give a little shine to Lake City and feel great doing it. 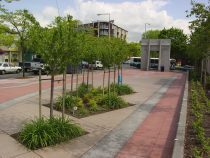 Meet in the Lake City Mini Park where we will provide gloves, grabbers, vests and bags. Our past Spring and Fall Clean Up efforts usually see about 65 people but we would love to double that this time out. Please do join us to give a little love and shine to the neighborhood. It is a great way to connect with neighbors and an easy way to feel good about volunteering. We will have some snacks and the chance to win some raffle prizes for those that sign in with us. See you there, rain or shine. We provide everything you need to participate.